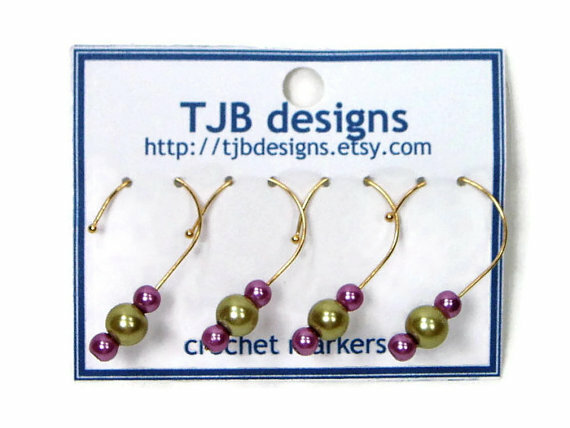 TJB Designs is owned by Tommye Bunce, a lovely lady who lives in Oak Island, NC. 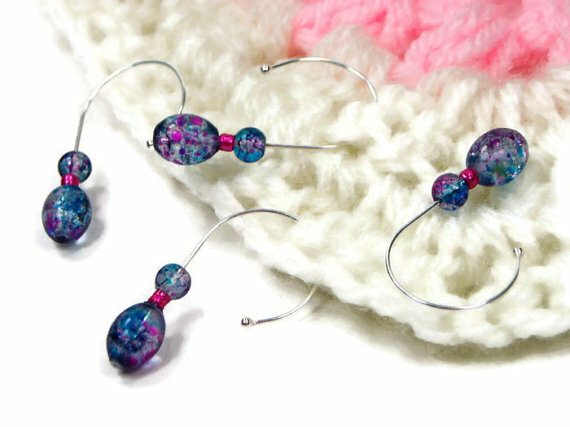 She makes beaded knitting, embroidery and crochet accessories such as markers, counting pins, scissor fobs, as well as eyeglsses chains and book marks to sell on Etsy. 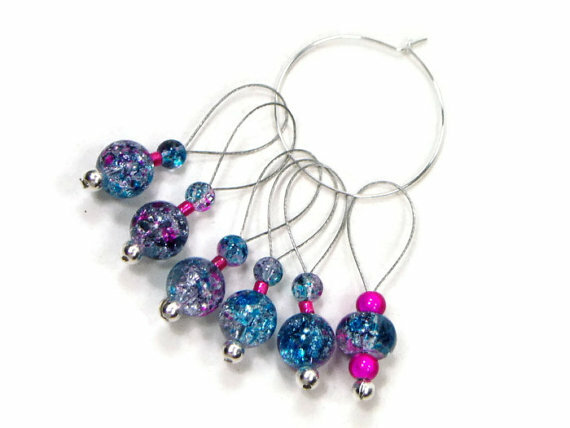 She is a team-mate of mine on an Etsy Team called Crafty Folk where I got to know and fall in love with her beaded pretties – even better that they are useful too! 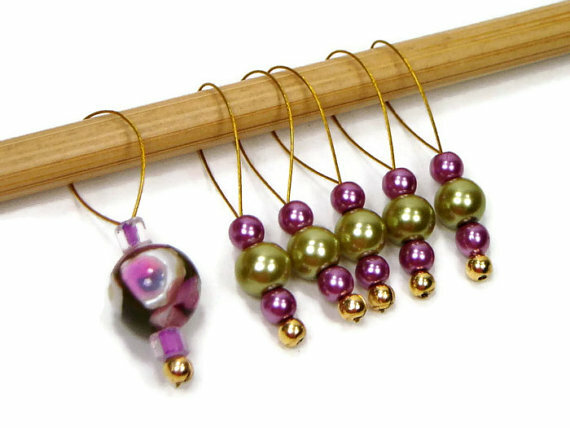 I ordered these purple & green beaded crochet and knitting markers last year – I fell in love with the colour combination – though I’d never wear it! They have never caught on yarn, or come apart; my son loved them so much last year when he was into ‘Treasure Chests” he kept taking them for his “jewels” until I convinced him that buttons would work as well….. The only issue I have is that I lost some of the crochet markers! Which meant that when I was down to 1, I needed more….. so I got these ones almost exactly 1 year later. Both sets were custom-made for me – she had 1 kind of marker already made up and then made the other set to match. They are completely different in look, but have the same great high quality in materials and execution. If you think you’ve seen the green & purple sets elsewhere, you may very well have – I was featured in Craftseller Magazine in April and this was my Essential Item! Tommye very kindly sent me a second main marker for the knitting marker set as I had misplaced it and needed another matching one quickly for the photos! Then of, course, I found the first one as soon as the photos had been taken…. so I now have 2. If you knit, sew, crochet or embroider, or know someone who does, please do take a look in Tommye’s shop – lots of useful pretties for gifts or for you! I am so thrilled that you love them, Denise. Thanks so much for this wonderful review.